Thank you for visiting "The TireJobs Company". We look forward to assisting you with your recruitment needs. All job postings are free. You only pay a referral fee if you make a hire! See more information below about our referral process. TireJobs is making a specail offer to all first time users. Call for details. You will not be disappointed! Learn more fast by viewing this short video explaining the program. We'll place your job posting and use our resources to reach job seekers and help you find the best available talent. All resumes are submitted to The TireJobs Company and we only forward you qualified persons that meet your requirements. Just click on this link to complete a form with the basic job information and we'll work with you to draft a job posting and begin the search. We'll never post your job until we have called you and confirmed your information and received your consent. We'll be back to you shortly after receiving your request. Terms and Conditions. We'll send you a copy ASAP! 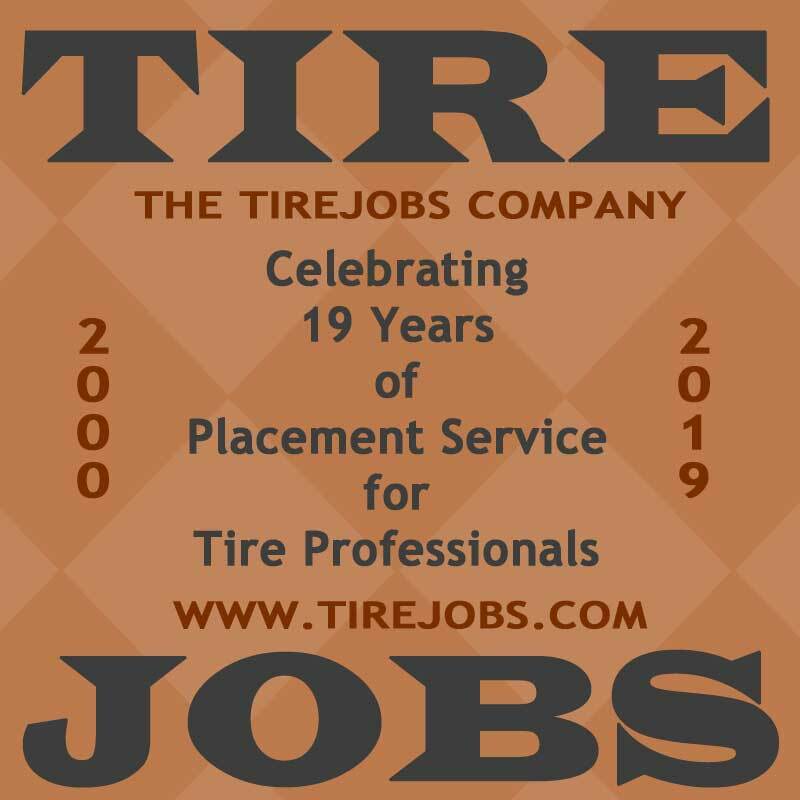 The TireJobs Company offers an employment referral service that provides both job seekers and employers primarily involved in the tire and/or service related business, an opportunity to meet. The principle source of available job seekers is derived from resumes submitted to the company’s website. The principle source of employers is derived through industry contacts and website exposure. Many employers are in need of qualified associates to fill important positions. Employers should contact The TireJobs Company and submit requests for opportunities to meet job seekers with desired skill sets and backgrounds. Resumes that list the desired skill sets and backgrounds will be forwarded to the employer for consideration. All applicants will be informed if and when their resume has been presented to an employer. Most applicants are currently employed and are depending on the employer to keep their information confidential until an agreement has been reached to begin a background investigation. Employers who violate this trust will no longer be considered for future opportunities. The TireJobs Company represents itself as a referral service. This allows for considerably lower fees than you would expect to pay a typical employment agency. The fees do however vary depending on the employer’s request and the degree of difficulty meeting that request. Please contact us for a rate schedule - Group rates may apply! The TireJobs Company will bill the employer one half of the fee on the day the employee begins their position with the employer. The terms are net upon invoice. At the end of 90 days from employee start date The TireJobs Company will bill the remaining portion of the fee. In the event the employee is no longer employed at the end of the probationary period the remaining portion of the bill will be waived. The TireJobs Company offers and represents itself as strictly a referral service. The employer is totally responsible for all required background information gathering and verification of the job seekers remarks and proclamations of experience and skills. The TireJobs Company makes no claims as to the skill level or the character of the job seeker. The TireJobs Company reserves the right to refuse any job listing if it is not in the best interest of our site or our viewers.